I haven’t updated my History of Severe Real S&P500 Stock Bear Markets since August 2010. At that time QE Lite had only recently been announced. That strategy kept the dead US patient alive for 3 short months before the next load of stimulus, Money Printing 2 (sorry Quantitative Easing 2). Let’s put the $600 billion involved in QE2 into perspective. It’s the equivalent of $1,950 for every US man, woman and child. I was always taught “that nothing comes for free”. In parallel to this I also can’t help but think about Newton’s first law, “every action has an equal and opposite reaction”. As an Average Joe I’m just wondering what the penalty and opposite reaction will be. I guess time will tell but I still can’t help thinking it’s not going to be good. 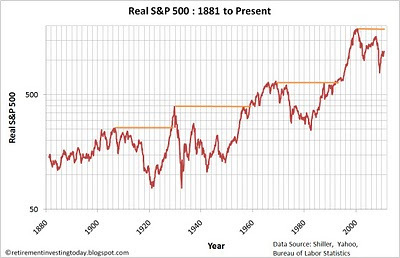 So where are we today when compared with other real (inflation adjusted) long term bear markets? 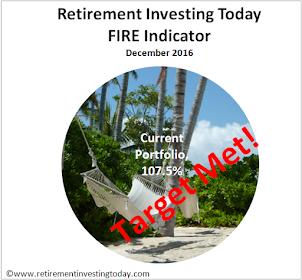 As always let’s firstly cover the background to today’s charts for the new readers of Retirement Investing Today which includes looking at other severe S&P 500 bear markets as a comparison. 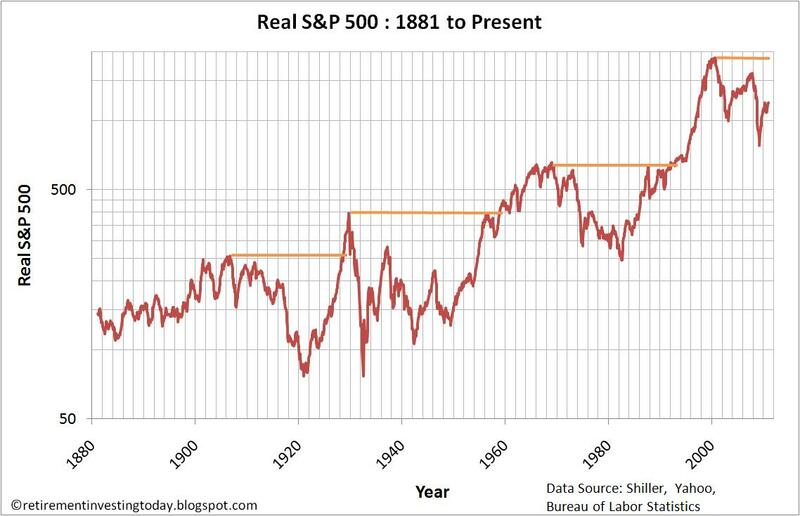 - in 1916 at -27.9% and over the next year heading to -57.6%. - in 1939 at -51.2% and over the next year heading to -58.7%. - in 1979 at -52.2% and over the next year heading to -56.4%. So while they were in very different places today after 12 short months they were all about as bad as each other and were all still heading towards the -60% line. This bear market also has plenty of time to make -60% or worse and given what’s happening out there in the real world with some countries being not far off default I wouldn’t be the least bit surprised to see it. - Inflation data from the Bureau of Labor Statistics. 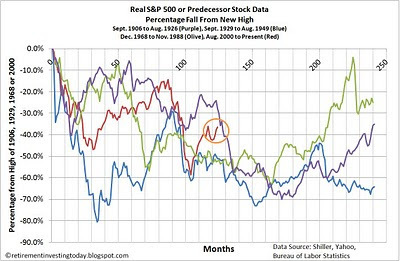 November 2010 inflation is extrapolated. 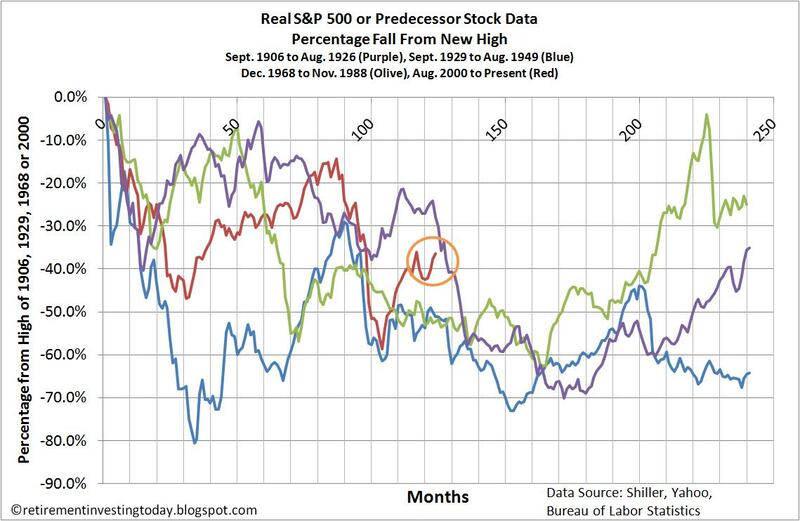 - Prices are month averages except November 2010 which is the 24 November 2010 S&P 500 stock market price of 1198.35. Sadly I'd have to agree with you. The US is still quite pricey and they do seem to have these big risks of weak growth and/or high inflation, both of which can spell 'real' pain for investors over a very lengthy period of time. However, as long as a US investor allocates their capital somewhat rationally then they should still do okay in my opinion. It's that 'rational' bit that's the hard part. And congratulations on the 50% target. 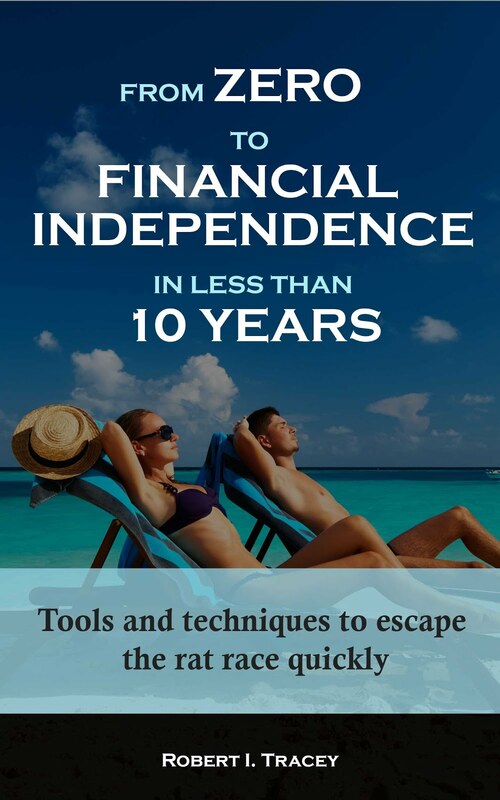 I think if I smudge various factors then I am somewhere over 50%, but it depends on what you want your 'retirement' income to be! Unfortunately I like fast cars so my retirement is some way off! I also like fast cars however I've realised that if I want 'retirement' in my early forties then the odd track day is about as close as I'm going to get. Very interesting graphs and commentary RIT. I particularly appreciate seeing the graphs in real terms, and that you've gone back to 2000 rather than 2007 like most commentators as the start of this bear market. 1) I suspect inflation was running much higher in those previous bear markets, masking a lot of the decline. It certainly was in the 70s. This may of made it psychologically more difficult for investors at the time to see the value after the falls, and so perpetuated them. (Not to mention the returns from alternative asset classes like cash being higher in such circumstances, even if money illusion was at work). 2) There's a bit of confirmation bias here. If you plotted the current bear markets with other bear markets that bounced back sooner, you'd have an equally convincing looking graph, surely. I too am amazed that so many commentators start with 2007 rather than 2000. It really is not that difficult to put things in real terms and show the truth, yet the vast majority of people out there seem to ignore inflation for some reason. It's a similar story with gold where they talk about new highs when in real terms we are still some way off.